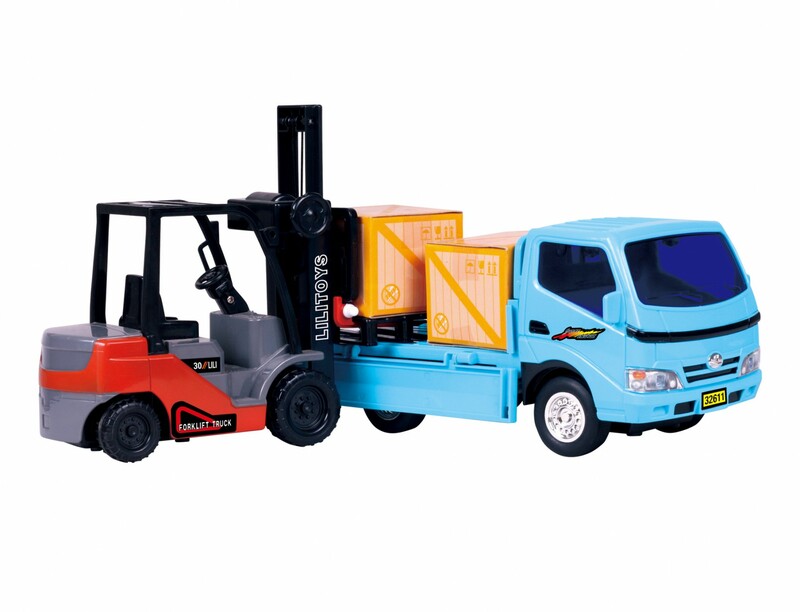 Master Box Dimension : 25" X 17" X 20"
Move boxes and transfer them to a new playground with these two toys! 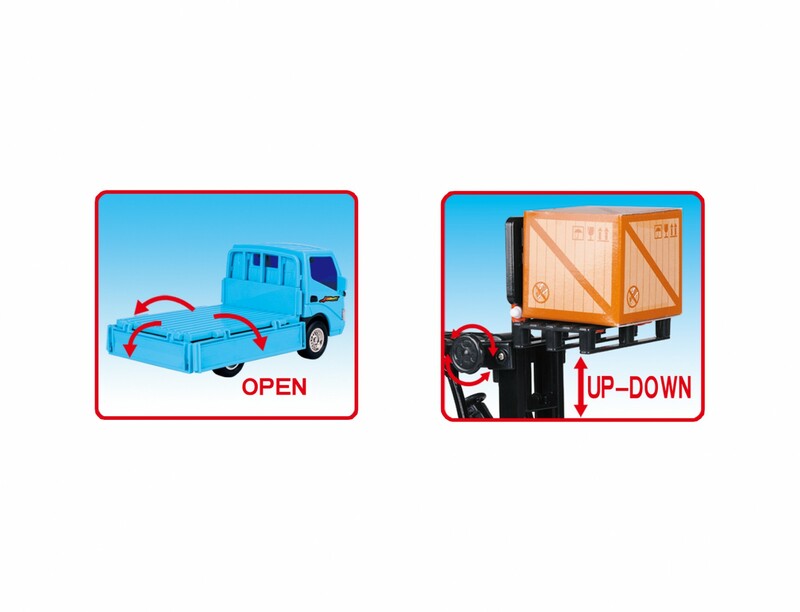 Forklift and the Truck can help move any load with its pullback friction powered motor! This motor allows the fork in the forklift to move up and down by rolling a wheel! Makes a great gift for any children!